Monster High prototypes from San Diego Comic con!. Prototypes from SDCC not mine credit gos to who ever got the pic. 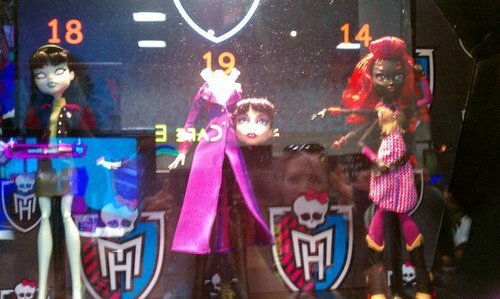 Wallpaper and background images in the Monster High club tagged: monster high draculara cleo frankie clawdeen deuce dolls. im so getting the daughter of arachne!